To book a visit and see if your puncture can be repaired call 09 622 2449. Does your car tyre need replacing? 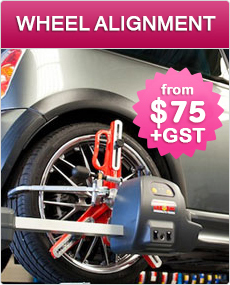 Or do you just need a quick car puncture repair in Auckland? The good news is that about half of all flat tyres caused by a puncture can be repaired safely and cheaply without the need for a replacement tyre. The most important thing that you can do to help the chances of your puncture being repairable is not to drive on it when it is flat – driving for even a few hundred metres on a flat tyre can damage it and make it un-repairable. So as soon as you notice it is flat, either put the spare wheel on, or call Tyre Girl. We are open 7 days a week so even if you get a puncture on a Sunday morning we can help you out! The tyre has been punctured by something small like a nail or a screw, and not something large like a piece of broken glass or running into a kerb or pothole. The car tyre puncture has happened in the central area of the tread, and not near the edges or in the sidewall. The tyre has not been driven on when flat as this causes the sidewalls of the tyre to be weakened making a repair unsafe. Any tyre that visually conforms to the above guidelines will be removed from the wheel and fully inspected for internal damage before the puncture is repaired. 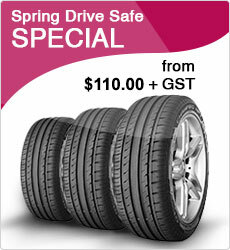 The cost of a car puncture repair is from $35 Inc GST. Don’t worry if your tyre needs replacing as the Tyre Girl team can do that quickly and affordably so you can get back on the road. Give us a call on 09 622 2449 or make an enquiry through our website to find out more about our tyre puncture repair or car tyre replacement deals.